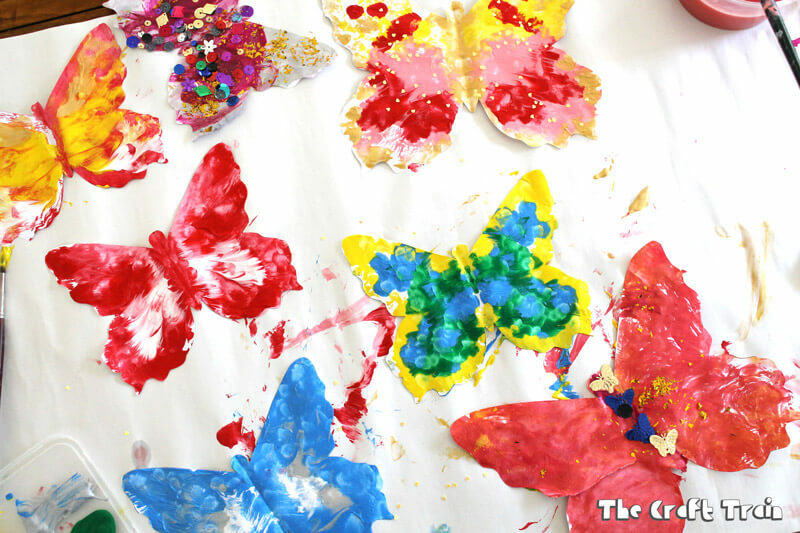 This colourful butterfly squish art is a fun and engaging process art activity for kids. 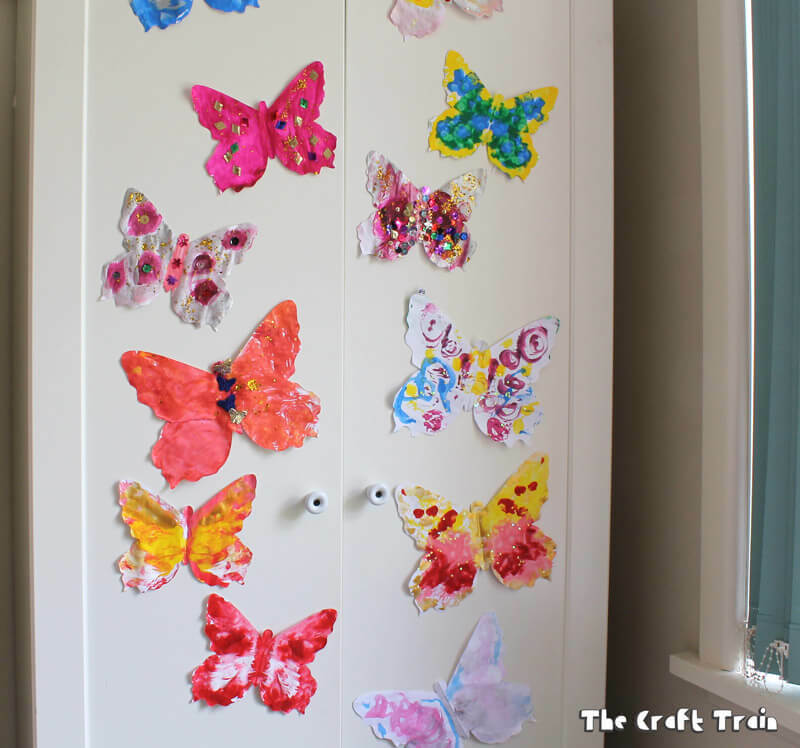 It’s a hands-on way to learn about the symmetry of real butterflies’ wings and it also makes a lovely art display to hang on the wall (or the bedroom cupboard as we did). You know we can’t get enough of butterflies around here! 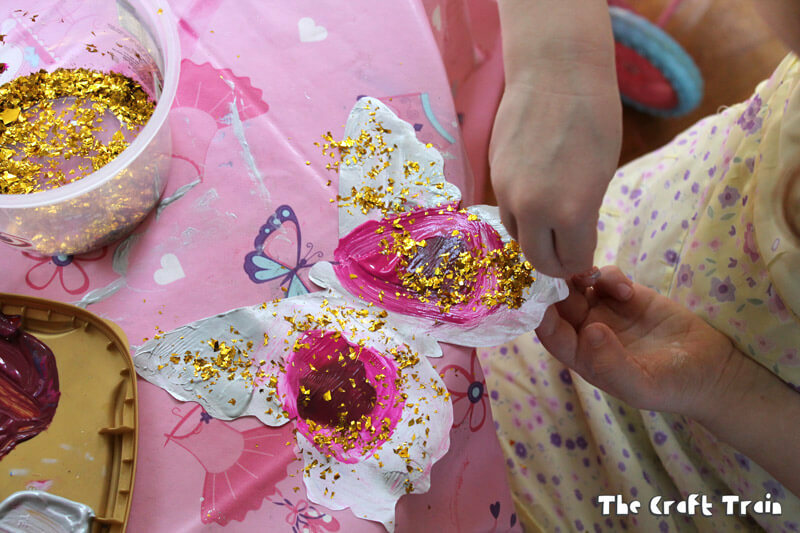 Just last week we shared how to make a DIY butterfly outfit for Barbie from paper, and today we are sharing this easy butterfly squish art activity. 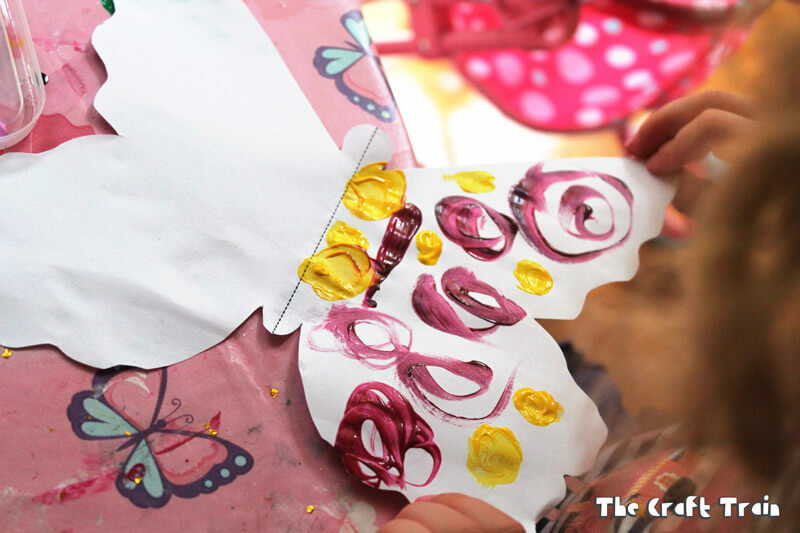 The photographs are actually of my girls making butterfly squish art when they were pre-schoolers (a few years ago now – they grow way too quickly!). So you know this one is tried, tested and completely doable by kids. Before you get arty it’s a nice idea to head out into the garden to see if you can spot any real butterflies. If you can find one, and if it can sit still long enough, look at how perfectly symmetrical the patterns on it’s wings are. We found a pretty monarch butterfly in our back yard. 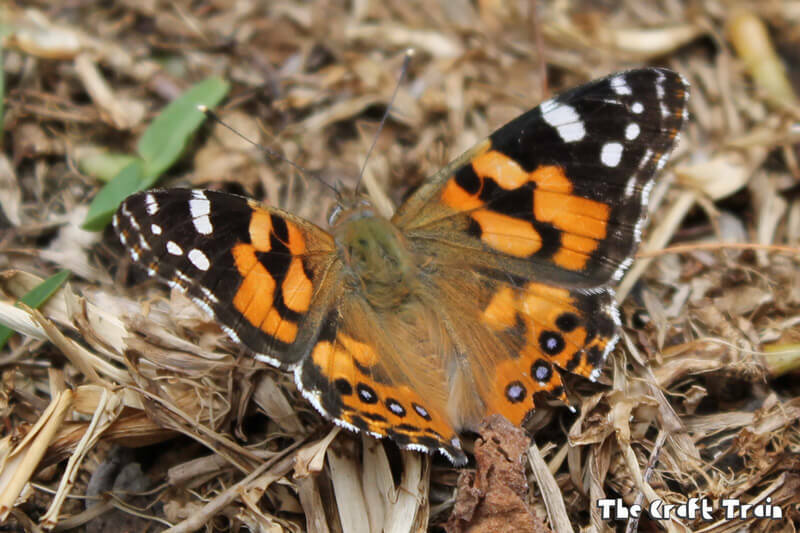 If you can’t see any butterflies outside look at a few photographs of real butterflies. The different species are all so unique and beautiful. 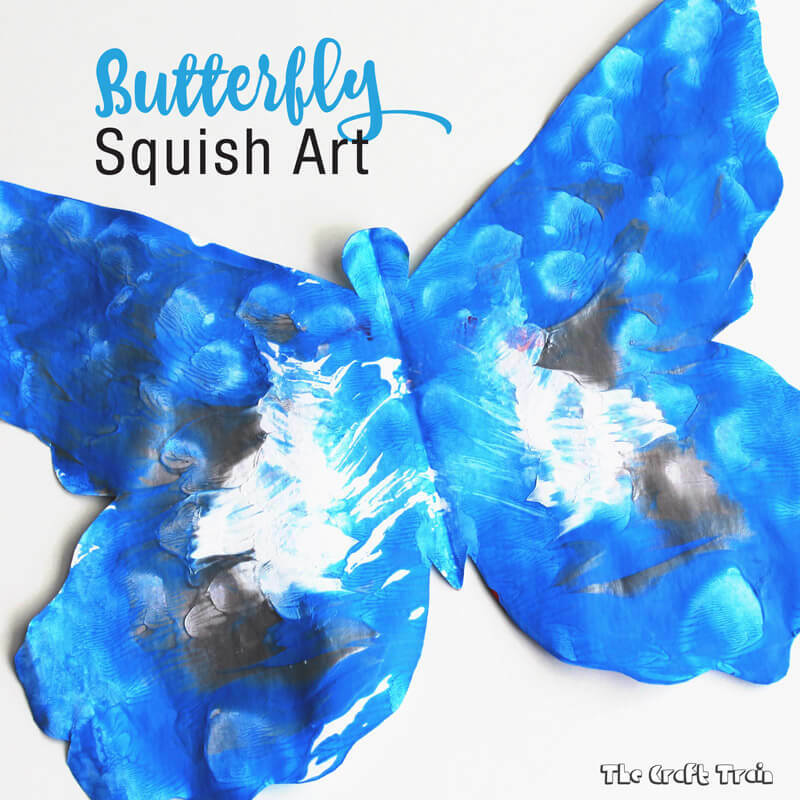 Creating the squish art is super simple using our printable template. It’s quite similar to our butterfly sponge stamping, only the paper itself is shaped like a butterfly and there are no sponges necessary. Print out the template. There are two pages; one which will make a single large butterfly, and one which will make two smaller butterflies. Fold the paper along the fold line, or for the smaller sized butterflies fold it twice. Cut along the butterfly outline. 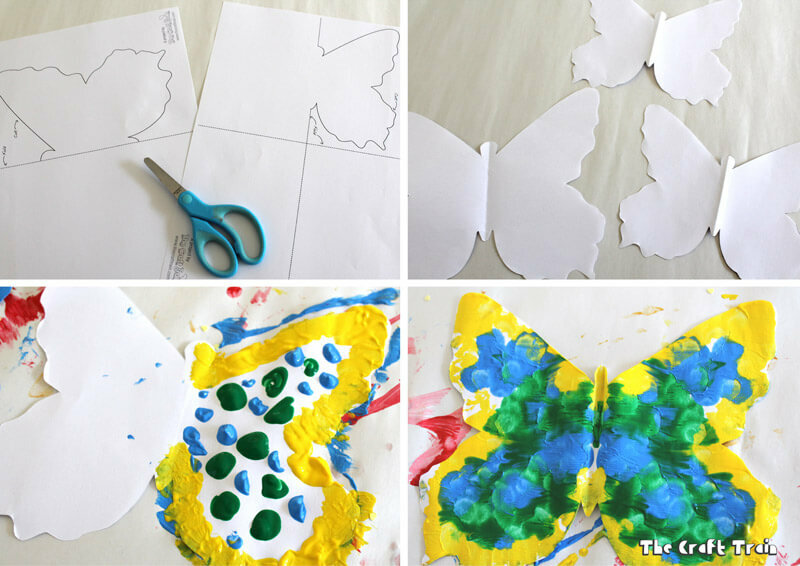 Unfold and decorate one half of the butterfly shape with paint. You will need to work quickly or the paint will be too dry to get a good print. 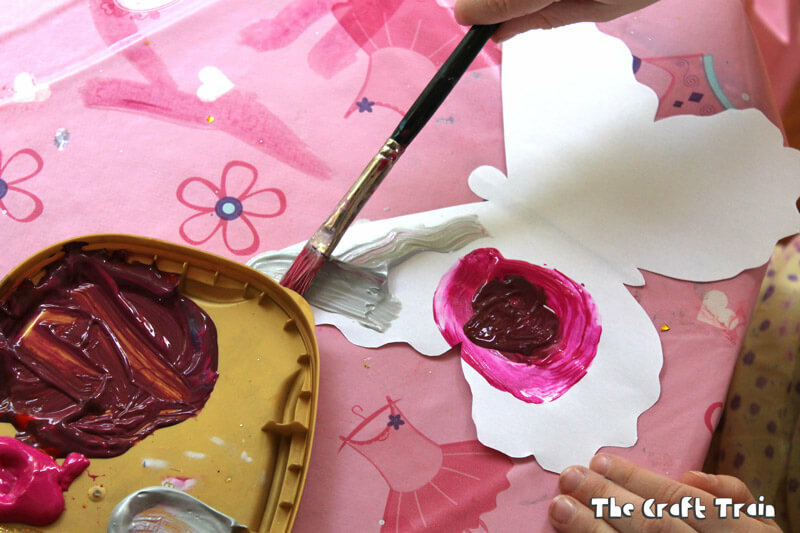 I decorated with blobs of paint, while the girls preferred to make more intricate patterns with paintbrushes. Fold and squish together! If you have used lots of paint blobs this will be messy, so make sure you have some newspaper or a protective splat mat underneath. Unfold to reveal a beautiful and symmetrical butterfly. This is fine to let dry and hang as is, but my kids wanted to add glitter and sequins to their butterflies as extra decorations. Awww, what a stunning art display for their bedroom! • These sponge printed butterflies are so easy and fun!